I prayed...like I have rarely prayed before...Ever since I first started speaking to God, the bottom line of my prayer has always been “Thy will be done”. I would ask for whatever I wanted but would always end with that statement removing myself from the ego consciousness and merging my will with HIS. This time it was different. This time I wanted my COCO to live...to survive the ordeal he had been through, firstly because I didn’t want him to die an untimely death as a consequence of the actions of a bunch of hooligans and secondly because I wanted to laugh in their faces and make a statement...that their actions couldn’t harm my little one. He showed signs of recovery, he sat up, ate, drank water, wagged his tail showed my parents recognition...and then suddenly before the critical 72 hr period was up, his condition turned for the worse. His body became rigid again, his fever sky rocketed and he kept screaming into the night...apparently the horrific pain came back. He stayed this way for a while before he slipped into a coma. And all this while I was only praying for his life...No underlying “Thy will be done” statement. Finally after 24 hours I realized I was just holding on to him and he was hanging on only because I was not ready to let go...because I kept praying for his life....because I would not let God do HIS will. I was at a conference the whole day at the Shangri La and was caught up in the arcane world of business professionals. I finally managed to break away for a bit and slipped into the restroom to call Ma. And she informed me that Coco had passed on an hour or so earlier. I hung up and stood there in the majestically decorated restroom. I was surrounded by beauty but my heart was empty save for a few mixed emotions running helter skelter. I was crying inside knowing that I would never see my Coco’s physical form again, but I was relieved that he was in no pain. I was filled with fury at those boys who took Coco from me but at the same time I was revelling in the fact that God had been on the other side conversing with me all along, and when I finally agreed to let go, God agreed to take him. I am sure I will grieve Coco for a long time now. 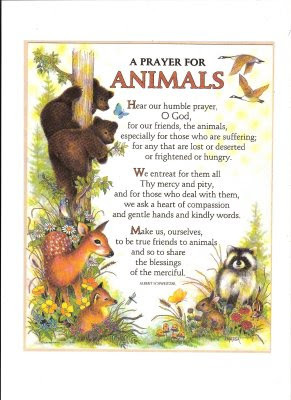 More than my other animals because he died as a result of an unnecessary cruel act...something unforgiveable in the human species since we have been given the power to discern right from wrong. Sure Orcas play with their quarry before killing them; sure cats do the same and kill their prey without wanting to eat them. But they do not have the discriminating volition that has been so benevolently granted to us. I have listened to her and am slowly resolving the anger inside of me. I know it will take time. But I have faith that God will help me forgive. Coco was cremated yesterday. I wish to erase the memories of him in pain. I only wish to remember him as the sprightly boy that he was...abounding in joy and selfless love. I prayed like never before and then I prayed like I used to. I am always looking to God for answers. And He has shown me that He always answers my prayers. Always. Only for reasons that are His alone, and for reasons that I am too spiritually unevolved yet to understand, sometimes the answer is No. I love you Coco. Goodbye.